Whether it’s an idea in your mind or you have a photo for inspiration, our goldsmiths are happy to sit down with you and discuss the possibilities for your custom re-mount or jewellery design. This is the photo Sharon brought to our Goldsmith Todd, they discussed the details and how they could make it perfect for her! The next step was finding a stone that sparkled just the way Sharon dreamed it would. These stones were brought in for Sharon and she got to pick the one she liked most to be set in her ring! We can help you source out the perfect stones for your piece. We work with a variety of companies to provide you with the mot luxurious, high-quality gemstones and diamonds. We take measurements to match your vision and source out your desired stones. Are you a visual person? We work with a few companies who know that it can be hard to judge just by a picture. We are likely able to have the stones sent in to view in person. If you aren’t happy with the stones we can source something else! Besides the vision and design for your piece you can also bring in any loose stones you may have OR you can bring in old jewellery and we can use the stones from it to create your piece. Next, we send your stones away to a company we work with who can provide us with computer generated images made on Auto Cad. These renderings can give you a picture of what your piece will look like! From here, you will be able to examine the images and make any changes you see fit. Once you have given the go ahead your piece begins its journey to completion! The mount will be created and the stones will be set, all with great care and expertise. 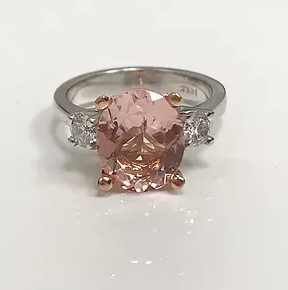 Once your piece is completed it will be sent via courier to our store, we will examine it to ensure it is looking as you described and then you will be notified to come pick up your piece. Upon receiving your piece, you will ensure it is looking just as you imagined it would! 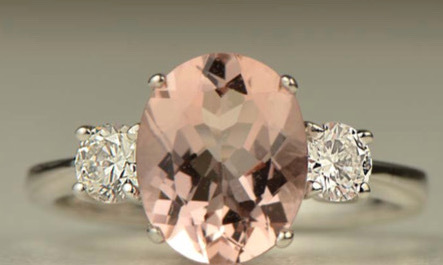 This is the final product of Sharon’s morganite ring! 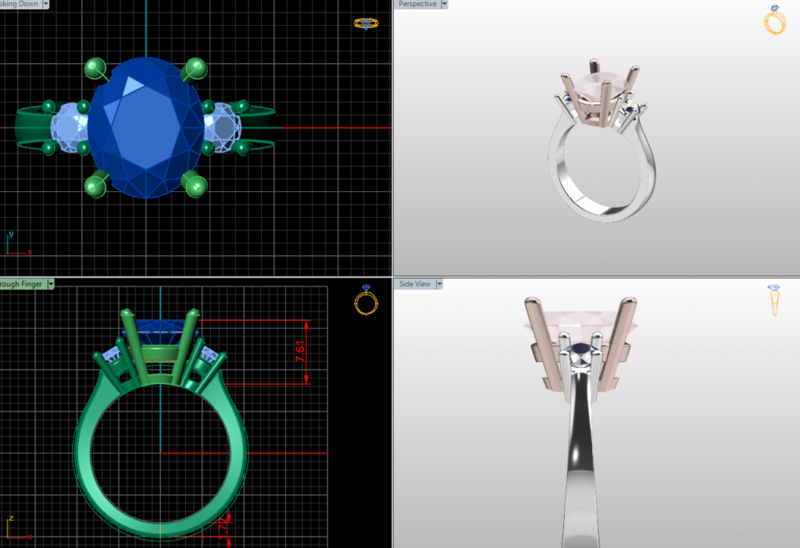 She is extremely happy with the outcome, enjoyed the process and says this is her new favourite ring to wear! Making your jewellery dreams come true by meeting with our Master Goldsmith today! Contact Silveri Jewellers to book an appointment for a Custom Consultation.